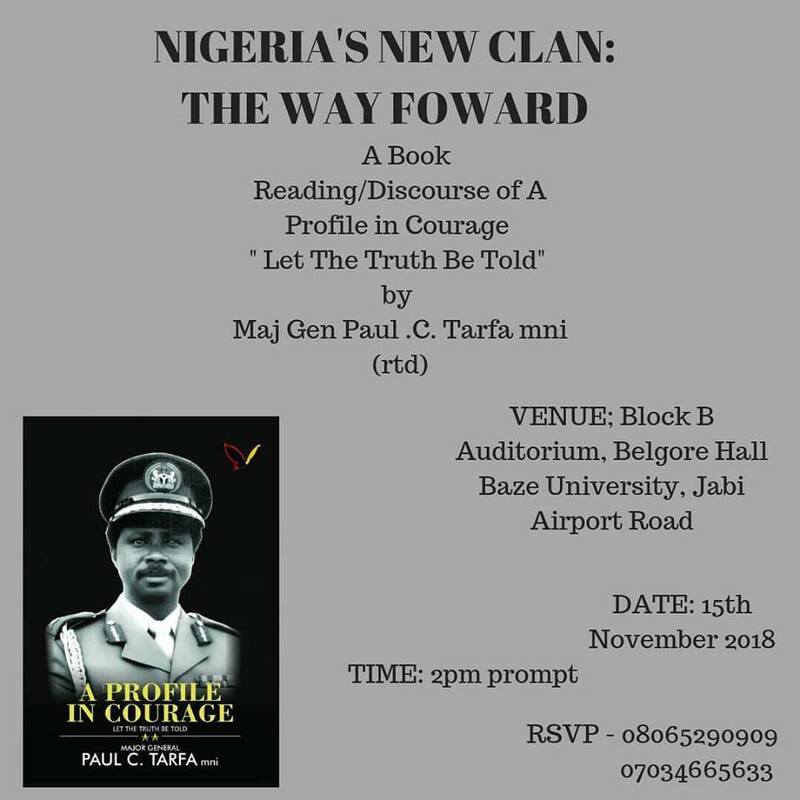 We would like to invite you to a Book Reading/Discourse titled: Nigeria's New Clan: The Way Forward by Maj Gen Paul C. Tarfa, mni (rtd). Date: Thursday November 15, 2018. Venue: Justice SMA. Belgore Auditorium (Law Faculty) Time: 2pm prompt. Warm regards.